The Latin Patriarch of Jerusalem urged Christians to stand firm in the face of tragedy, as worshipers massed for Easter Sunday at the site where they believe Jesus rose from the dead. Internationally, Pope Francis condemned the indifference and "complicit silence" to extremist attacks on Christians as he presided over Easter ceremonies, Sunday. As dawn broke over the Holy City, thousands of Christian pilgrims from all over the world gathered to celebrate Easter and remember the resurrection and the miracle of the empty tomb. Addressing worshipers at the Church of the Holy Sepulcher in the heart of Jerusalem's Old City, Latin Patriarch Fouad Twal spoke of the suffering gripping the war-torn Middle East, urging the faithful to demonstrate courage, AFP has reported. "Every day in the Middle East, we are witnesses of tragic events that make us even contemporaries of Calvary," he said in an address at the sprawling 4th century basilica which Catholic and Orthodox Christians believe was built on the site where Jesus was crucified, buried and rose again. "Let us bury in the tomb of Christ our worldly inclinations, our contradictions, our religious divisions, our hostilities, our lack of faith and our fears ... From this tomb emanated light and peace. And here today, from this battered Holy Land, light and peace must spring out again," he said. Tens of thousands of Christians have fled their homes in Iraq and Syria over the past year in fear of advancing militants of the Islamic State group. But Twal said Christians were called to the Middle East "to be signs of hope beyond everything," he said. "Our future in this region and in the world is uncertain and even incomprehensible, but do not be afraid: Christ assured us He is 'with us always, until the end of time'." In a separate celebration just outside the walls of the Old City, around 1,500 people gathered at the Garden Tomb at sunrise to celebrate the resurrection on a sunny but chilly morning. There they gathered by a rock-cut tomb which stands in the shadow of a skull-shaped hill which is seen as an alternative site of the crucifixion and resurrection. Located in Israeli-annexed East Jerusalem, the so-called Garden Tomb was first discovered in the 19th century and quickly became a popular alternative site to the Church of the Holy Sepulcher. As the sun rose, the crowds sang hymns and choruses, many of them snapping photos of the entrance to the empty tomb. "It is just awesome to be here," said a 41-year-old woman from South Korea who gave her name only as Miok. "The Bible talks about Jerusalem being a house of prayer for all nations and here you can see people from all these nations coming together to worship him at the same time," she told AFP. Shagufta, a woman in her 50s from Pakistan, described the experience as "very exciting." "We've never experienced anything like it before, to see all these people from all over the world and to be where Jesus lived and walked," she told AFP. According to the Gospels, Jesus was crucified and buried a day after he celebrated Passover, then rose from the dead on the morning of what has become known as Easter Sunday -- the most important day of the year for Christians. Known as Gordon's Calvary after the British general who discovered it in 1894, the garden is situated some 200 metres (yards) outside the Old City walls under the shadow of a rocky outcrop that looks like a skull, and is believed to be Golgotha, which is also known in Latin as Calvary. Orthodox Christians celebrate Easter next weekend, according to the old-style Julian calendar. Pope Francis condemned indifference and "complicit silence" to extremist attacks on Christians as he presided over Easter ceremonies in the wake of a massacre of nearly 150 people at a Kenyan university by Shebab Islamists. The leader of the world's 1.2 billion Catholics brought up the extremist persecution of Christians as the holiest ceremonies of the Church calendar reached a climax Sunday, when believers celebrate the resurrection of Jesus. The militants behind Thursday's university attack that shocked Kenya are reported to have separated out their victims into Muslims and non-Muslims, before killing the Christians. "Today we see our brothers persecuted, decapitated, crucified for their faith in you, under our eyes and often with our complicit silence," the pope said after the traditional Via Crucis (Way of the Cross) procession through Rome on Friday, which recreates Christ's last hours before he was crucified. The Vatican has increasingly voiced frustration that attacks on Christians in places such as Iraq, Libya, Pakistan and Nigeria have not been more strongly condemned by Muslim authorities and Western governments. In December, the pope said Christians were being "driven from the Middle East" in a message to Iraqi Christians forced to flee by Islamic State group militants. "Due to an extremist and fundamentalist group, entire communities, especially, but not only, Christians and Yazidi, have suffered and continue to suffer, inhuman violence because of their religious and ethnic identity," the pope said. He then urged Muslim leaders worldwide to "clearly" condemn terrorism carried out in the name of Islam, and called for an end to the persecution of Christians in the Middle East. In France, Prime Minister Manuel Valls tweeted on Saturday: "We have to give our total support to Eastern Christians who are the victims of barbarism." He made the comment after facing criticism after a poster for concerts in support of Christian communities in Syria and Iraq was banned from the Paris transport system. Archbishop Hanna addressed the crowd in al-Ezzariya, where they gathered for the pre-Easter holiday commemorating the site where Christians believe that Jesus raised Lazarus from the dead. He told the pilgrims, "Your being here in Jerusalem makes celebrating Easter special, and shows the importance of this holy city to Christians of the world." Archbishop Hanna called on Israeli authorities to cease their relentless and ongoing attacks on Palestinian Christians -- referring specifically to an attack by Israeli soldiers on the Palm Sunday ceremonies in Beit Jala, near Bethlehem, this past Sunday. 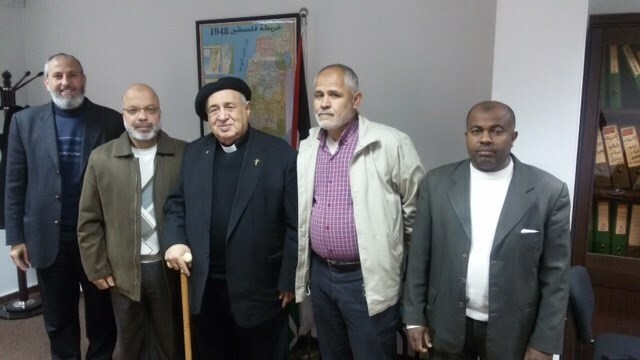 In his address to the pilgrims on Saturday, Archbishop Hanna stated, "We hope that all Christian churches of the world would look upon Palestine and the suffering of its residents, as the city of peace is as far as possible from being in peace due to unjust actions towards its people." 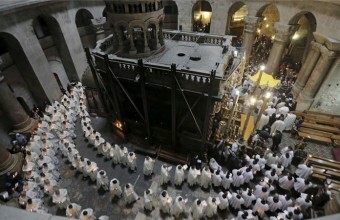 Orthodox Christian pilgrims from around the world have begun arriving in Jerusalem to take part in Easter celebrations. Pilgrims included Christians from Russia, Greece, Romania, Cyprus, Bulgaria, Serbia and other countries. 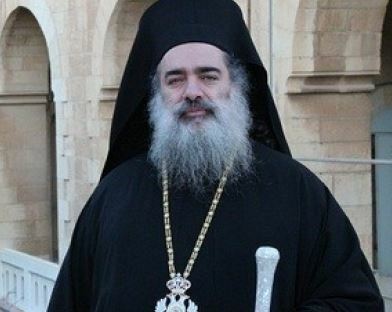 The archbishop of the Sebastian Greek Orthodox Church, Atallah Hanna, addressed crowds of pilgrims celebrating Lazarus Saturday in the al-Eizariya saying: "Your being here in Jerusalem makes celebrating Easter special, and shows the importance of this holy city to Christians of the world." Archbishop Hanna added that Palestinian Christians welcomed pilgrims, and were "proud to be living in the holy land of Palestine." He said: "We hope that all Christian churches of the world would look upon Palestine and the suffering of its residents, as the city of peace is as far as possible from being in peace due to unjust actions towards its people." Hanna also called upon people to pray for Jerusalem and Palestinians. Orthodox Christians, who follow the Julian calendar, are celebrating Palm Sunday this Sunday, and Holy Saturday and Easter Sunday next weekend. Christians belonging to Western Christian denominations, including Roman Catholics, use the Gregorian calendar, and are celebrating Easter Sunday this Sunday. Jewish groups also began the week-long Pesach (Passover) holiday on Friday at sundown. Dozens of elderly Palestinians in Gaza have been forced to postpone plans to pray at the Al Aqsa Mosque compound as a result of the Jewish holiday. Israeli forces restricted their access following calls from right-wing Israeli groups to evacuate the compound so that they could enter for Passover and offer sacrifices, even though Israel is under an agreement not to allow non-Muslim worship on the site. 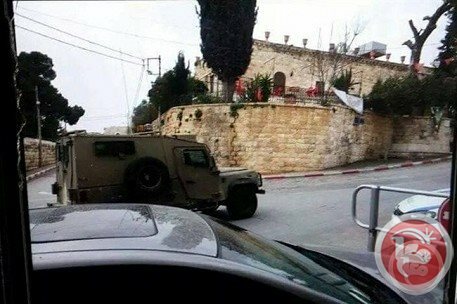 Concerns deepened among Palestinian Christians hoping to freely observe their religious traditions this Holy Week, as Palm Sunday celebrations among Western denomination Christians in Beit Jala were brought to an abrupt end last week when Israeli troops raided the majority-Christian town near Bethlehem and threatened locals. Palestinian policemen on duty near the celebrations were threatened by Israeli soldiers with arrest during the raid, which took place in the middle of the day as Sunday mass was coming to an end. Sunday's events reminded Christian Palestinians of chaos last Easter caused by Israeli restrictions that prevented thousands of Christian Palestinians from traveling to Jerusalem. Israeli authorities have in the past come under sharp criticism for the violation of religious freedom of Palestinian Christians, who number around 200,000, including 50,000 in the West Bank and 1,000 in Gaza. After annual difficulty accessing religious sites, Palestinians have vowed to pursue "other means" if restrictions continue. After annual difficulty accessing religious sites, Palestinians have vowed to pursue "other means" if restrictions continue. 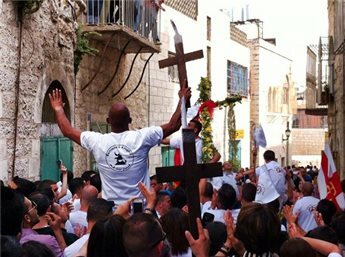 According to PNN/Al Jazeera, Palestinian Christians said they would not tolerate a repetition of the Israeli restrictions and violence which have in past years marred Holy Week festivities - culminating on Easter Sunday - and have vowed to pursue "other means" if no marked changes are made. Speaking to journalists on Tuesday, community leaders expressed concerns that Israeli restrictions will prevent them from celebrating Easter this week, beginning with the Good Friday procession in Jerusalem, where thousands flock to walk along Via Dolorosa - the path believed to have been walked by Jesus before his crucifixion. 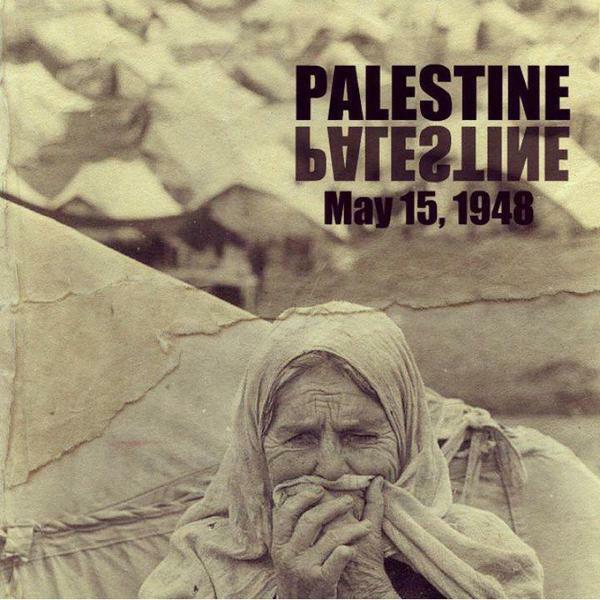 "There is one major change this year, and this is April 1, which is the day Palestine officially becomes a member of the International Criminal Court," said Bassem Khoury, a Christian from Jerusalem, and former Palestinian minister of economy. "Denial of freedom of religion is ... an issue we will pursue if we are denied [access to our holy sites]." For almost a decade, the Easter celebrations have been marked with clashes between local Christians and Israeli troops, who regularly prevent worshippers from accessing the religious sites. "Since 2005, Israel has closed the Old City of Jerusalem for us," said Hind Khoury, former Palestinian minister of Jerusalem affairs. "We arrive to celebrate Palm Sunday and Holy Friday only to find the access doors closed and many Israeli military checkpoints along the way." This Friday, pilgrims and visitors will walk down the cobbled Via Dolorosa through the walled Old City, many bearing wooden crosses, to the Church of the Holy Sepulchre, where tradition has it Jesus was buried before rising again three days later. This year, Easter festivities are coinciding with the Jewish holiday of Passover. Israeli authorities impose severe restrictions on Palestinians' movement during that time, affecting both Muslims and Christians' access to Jerusalem holy sites. "Israeli authorities give some permits to Christians during religious holidays," said Fr Jamal Khader, the rector of the Latin Patriarchate Seminary, who described himself as one of the "lucky ones" to have received permission to enter Jerusalem this Easter time. "But at the same time, the access to the Church of the Holy Sepulcre is restricted and during Pesach [Passover] there are even more restrictions," he said. "Permits are a means of control and this is a violation of our freedom of worship." Khader said that families from his parish often complain that permits are not given to the entire household, which often means having to drop plans to attend the Jerusalem festivities. Even those with permits cannot always take part in the processions because the Old City is "practically closed", he said. "Every year when we get here for the procession, we notice that the whole area is empty except for hundreds of soldiers and policemen," he said. "This is a real problem for regular people; it dissuades them from participating." Difficulties in reaching holy sites come at a time when Christian leaders concede that the community's numbers are in decline. In 1944, there were some 30,000 Christians living in Jerusalem's Old City, according to official figures. Today that number does not exceed 11,000. Many Palestinian Christians have complained in the past that they were beaten, shoved and prevented by Israeli forces from entering the Old City during religious holidays. Israeli authorities said they were merely using "crowd-control measures" because of the large number of visitors. This year, the Israeli tourism ministry said it is expecting about 130,000 over the period of Holy Week and Passover. "We are not happy with the measures by [the Israeli municipality of Jerusalem]," said Archbishop Fouad Twal, the Latin patriarch. "We are afraid of a repetition of last year['s events]. Sometimes I wonder whether the [Israeli] policemen know why they are there - to help or to make our lives more difficult." Last year, the UN's peace envoy to the Middle East at the time and other high-ranking diplomats were prevented from going through a barricade to the Church of the Holy Sepulchre for the "Holy Fire" procession - a traditional ceremony that takes place a day before Orthodox Easter. Robert Serry said Israeli police forbade him and Italian, Norwegian and Dutch diplomats from getting to the church as he was being crushed by a waiting crowd at a barricade. They also ignored his requests to speak to a superior, he said. At the time, Serry called their behaviour "unacceptable" and demanded in a statement that all parties "respect the right of religious freedom". Israeli authorities denied Serry's charges, saying he had displayed "a serious problem of judgement". Last year, Palestinian Christian communities turned to Israel's Supreme Court, which agreed that Palestinians' rights were being violated, and that checkpoints and other restrictions were hindering access to places of worship. This year, they received official Israeli assurances of unhindered access to the church. "I'm not 100 percent optimistic that things will go fine even though we have assurances from Israeli security, even the president himself," Bassem Khoury said. But some Christians fear that it's not only access to their holy sites that's being lost in these festivities: participating in celebrations that extend beyond the religious. Ra'ed Sa'adeh, who owns and manages the Jerusalem Hotel, said he grew up in the Old City and took part in Holy Week celebrations yearly. "Many of the activities have both religious and cultural [significance]," Sa'adeh said. "And as Christians, we are being deprived from exercising our culture. Now it's impossible to be part of the popular celebrations, which are the natural cultural expression that people have been a part of for hundreds of years." A Bethlehem-area monastery that was slated to be split in half by the Israeli Annexation Wall has won its appeal in the Israeli High Court, after a nine year struggle that involved multiple court cases and non-violent direct action to save the monastery. The ruling follows a long saga involving monks, nuns, bishops, Palestinian Christian residents of the Cremisan Valley, and international supporters. 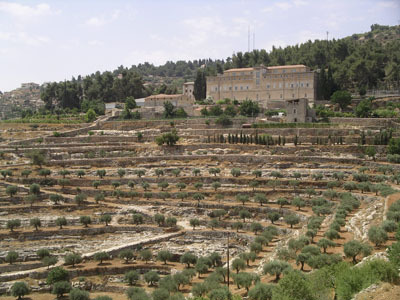 In 2013, the Special Appeals Committee of the Tel Aviv Magistrate's Court ruled against the monastery and residents, saying that the Wall could be constructed through the center of the Cremisan Valley, which is home to a convent, monastery, religious school and 58 local families. The petitioners decided to appeal that decision to the Israeli High Court, which ruled in their favor on Thursday. The Court rejected a proposal introduced by the Security and Peace Commission, an Israeli organization consisting of former Israeli Army officers and generals, which called for the Wall to be constructed through the center of the Valley, splitting church and private land in half. The Security and Peace Commission said that they would put a door in the Wall to allow the monks and nuns to go through (at the Israeli army's discretion). The petitioners, which include Christian families, church representatives and the monastery leadership, called for the route of the Wall to be changed, to annex less Palestinian land. The Israeli Annexation Wall, most of which has already been constructed, snakes through the West Bank annexing thousands of acres of Palestinian land to the state of Israel, and effectively annexing hundreds of illegal Israeli settlements, constructed on stolen Palestinian land, into Israel. According to the Palestine News Network, one of the two judges who ruled in the case added that in his personal opinion, any future plans should ensure that both Monasteries in the Cremisan valley should remain connected and that both Monasteries should also remain connected and accessible to the local community in Beit Jala. This suggests that both the Monasteries should remain on the Palestinian side of the wall. Qatar and Bahrain have strongly condemned the two incidents in which a West Bank mosque in Bethlehem and a Greek Orthodox church building in Occupied Jerusalem were burnt down by a number of Israeli settlers. In a statement issued on Friday, Qatar's Foreign Ministry stressed that "such criminal acts contradict with all human principles and divine laws, and constitute a serious violation of all international norms and laws." The ministry considered that the burning of Muslim and Christian holy sites by Israeli settlers is an indication of hatred and non-acceptance of the other, according to Qatar News Agency. In its turn, the Ministry of Foreign Affairs of the Kingdom of Bahrain has affirmed that such criminal acts represent a severe violation and a dangerous breach of all international laws and norms and contravene the principles of divine religions, which all incriminate assault on religious holy shrines and assert the need to safeguard them," it said in a statement. "The Ministry warns of the grave consequences of targeting the places of worship, for it would spur sectarian-based confessional feud and reflect excessive savagery." It also urges immediate action by world states to protect the Palestinian people and the religious shrines in the occupied territories, compel Israel to halt all its violations, and take just and deterring legal action against the extremists. 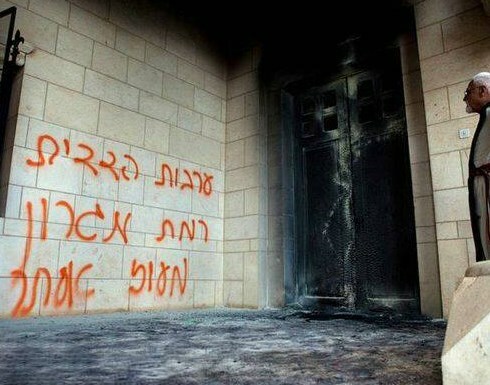 Suspected Jewish extremists Thursday set fire to a Greek Orthodox seminary building on Mount Zion in Occupied Jerusalem and scrawled graffiti insulting Jesus, 24 hours after a mosque was torched in the West Bank city of Bethlehem. Abdul Aziz al-Tweijari, Director General of the Islamic Educational, scientific and Cultural Organization (ISESCO), condemned on Friday an arson attack launched by Jewish price tag gangs on the Dormition Abbey in Jerusalem afternoon Thursday. “Such a heinous crime committed by this bunch of terrorists is another episode in the recurrent assaults targeting Islamic and Christian holy places in Occupied Jerusalem and the West Bank,” al-Tweijari said. He called on the international community to take a tougher line against such a criminal felony and to work on ending the Israeli occupation of Palestine and pushing for the establishment of an independent Palestinian state. A fire broke out in a Greek Orthodox seminary for the study of Christianity next to Jaffa Gate in Jerusalem overnight Wednesday. An investigation into the incident revealed a deliberate arson attack was carried out. According to findings collected at the scene, the arsonists poured flammable liquid into the bathroom through a window, lit it, and fled. Messages disparaging Jesus were found on the walls. Police are investigating the possibility of a hate crime. The messages included phrases such as "Jesus is a son of a b***h", and "the Redemption of Zion". Firefighters put out the blaze and no one was hurt. Police were called to the scene. The police will examine whether there is a link between the torching of the Christian seminary in Jerusalem and the torching of a Palestinian mosque in Jab'a, near Bethlehem in the West Bank on Wednesday. In both cases, the phrase "the Redemption of Zion" was scrawled on the walls. In May last year, police launched an investigation after receiving reports that a prayer book was set on fire in an apparent arson attack at the Dormition Abbey, shortly Pope Francis visited the site during his visit to Israel. Police spokesman Micky Rosenfeld said an eyewitness saw a man enter the Dormition Abbey and light candles before fleeing the scene. The suspect's identity or motive was not immediately known. Jewish settlers from the "price tag" gang at dawn Thursday set fire to parts of the Abbey of the Dormition in occupied Jerusalem in the context of their attacks on Christian and Islamic holy places. According to media sources, the arson attack led to extensive material damage to two ritual rooms. Luckily, firefighters managed to extinguish the flames and prevent them from extending to other parts of the Church. The Jewish assailants also spray-painted racist slurs against Arabs and blasphemies against Prophet Jesus on walls of the Church. 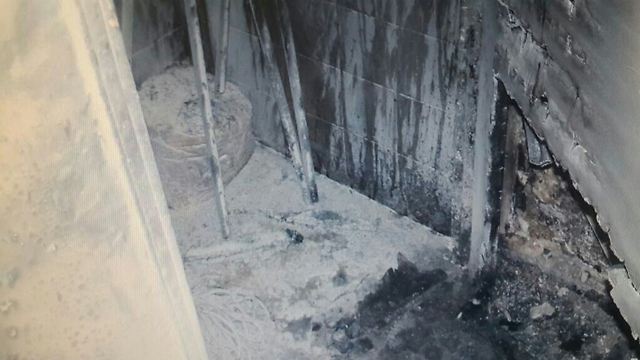 The attack took place one day after settlers burned the Mosque of Jab'a village, southwest of Bethlehem. The price tag gang, which emerged a few years ago, is a group of extremist Jewish settlers who have launched dozens of terrorist and sabotage attacks on Palestinian places of worship, homes, vehicles and cultivated lands. Although, they know the perpetrators of those attacks, the Israeli police mostly attribute the actions to anonymous vandals and do not conduct serious investigations. 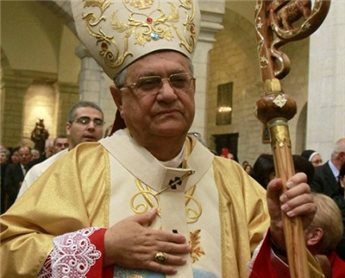 In this regard, Dimitri Diliani, secretary-general of the national Christian coalition in the holy lands, said the Islamic and Christian holy places are systematically targeted by Jewish terrorist gangs. Diliani held Israeli premier Benjamin Netanyahu fully responsible for the recent arson attacks on the Mosque of Jab'a village and the Abbey of the Dormition, and all previous and future attacks on Muslim and Christian holy sites by Jewish groups receiving financial, security and political support from his government. He stressed that the Muslims and Christians' presence on their land would never be affected by such terrorist actions that unmask the true image of the Israeli right-wing and its fascist government.